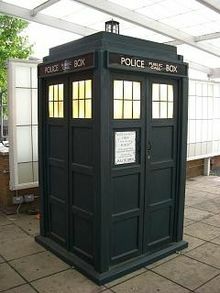 The famous Dr Who Tardis. Most wine producers seem to imagine that retailers’ shelves and store-rooms are miraculous places that resemble the Tardis in Dr Who. For those unfamiliar with this UK cult BBC TV series, the Tardis resembles an old British police box used by the eponymous hero to travel in time and space. Seen from the outside, it scarcely takes up a square metre of space. Once inside, there is room for the doctor and his companions not only to control the sophisticated craft, but also to host a fair-sized drinks party. As Wikipedia helpfully explains “the term “TARDIS-like” has been used to describe anything that seems to be bigger on the inside than on the outside”. Unfortunately, the Tardis remains the creation of an imaginative TV scriptwriter and designer. Space, when it comes to police boxes or book or wine shelves is strictly finite. For a retailer to add an Albanian Aligoté or Zimbabwean Zibibbo – or simply a good French or Australian red – to their range, however delicious, some other well chosen wine will usually have to go. To be crude about it, anyone trying to sell a wine to a customer who’s already in the business of selling the stuff, is a little like a man proposing marriage to a woman wearing a wedding ring. If she’s not dissatisfied with what she’s already got, you’d better have something pretty impressive to offer her. But, in the UK at least, that picture is just getting even trickier. The object of your attention may be going off men altogether… Tesco is currently reportedly delisting 150 wines from its range – and continuing to look at ways of reducing the number of suppliers with whom it deals. Morrisons, its competitor is also, equally reportedly, experimenting with a range reduction from 550 to 350 lines in some of its stores. Even these levels of shrinkage would still leave an offering that’s 10 or 20 times bigger than the range at Aldi and Lidl, neither of which seem to be doing badly with their ‘small but perfectly formed’ selections. Obviously, the bigger UK retailers are not the only market in the world – far from it – and thankfully new wines and producers do make their way onto shelves, across the globe all the time. (We’re happily finding new niches for le Grand Noir in all sorts of unexpected places). All I’m saying is that unless you really do have something that’s genuinely different and/or appreciably better and/or more attractively-priced it’s getting harder to squeeze into that Tardis with every year. more wine than one might expect.